RAVPower's fast wireless chargers are cheap for Amazon Prime members today, and these codes save you even more money. A good fast wireless charger can add speed and convenience to your battery boost. Right now, RAVPower has several wireless chargers on sale at steep discounts as a one-day Amazon Prime deal of the day—and the company supplied us with codes to make them even cheaper. First up, RAVPower’s $38 10W Qi fast wireless charger can be yours for $23 with the code RAVPC066. It normally costs $38. This flat charger’s LED battery indicator helps you know the charging status of your device. It also features a non-slip coating so your phone won’t slide around. 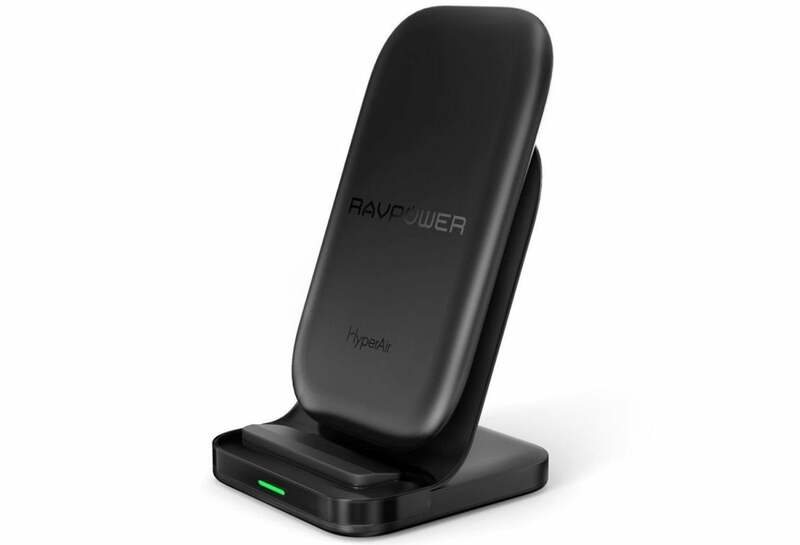 The RAVPower 2 coils 7.5W wireless charging stand is discounted to $32 from a regular price of $46, and the code RAVPC069 brings it down to $28. This angled stand, like the others on this list, features fast charging speeds and built-in temperature control for worry-free charging. Finally, the RAVPower 10400mAh wireless portable charger typically costs $66 but it’s just $40 with the code RAVPB080. This charger will boost your battery on the go while still featuring the fast speeds you can expect from the rest of the list.